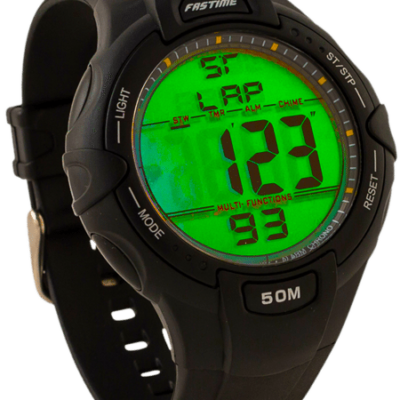 Ideal for circuit racing of any king including Track and Field events. Suitable for professional use. 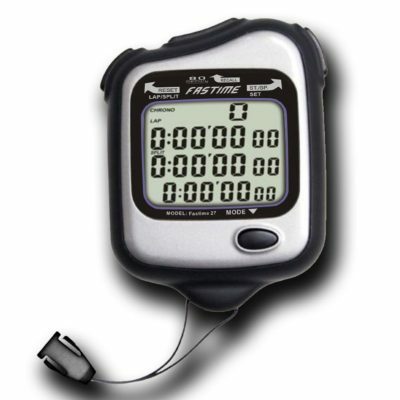 The Fastime 4 lap Stopwatch times up 23hr 59m 59sec. 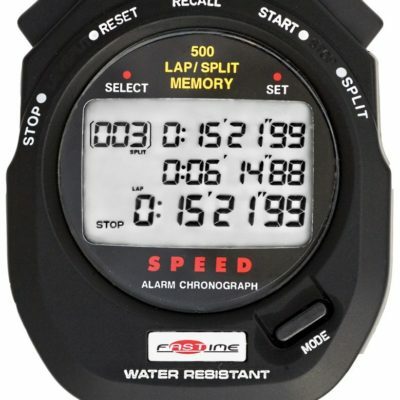 Times to 100/th second for first 9hr 59min 59sec. Then at 1 second intervals. 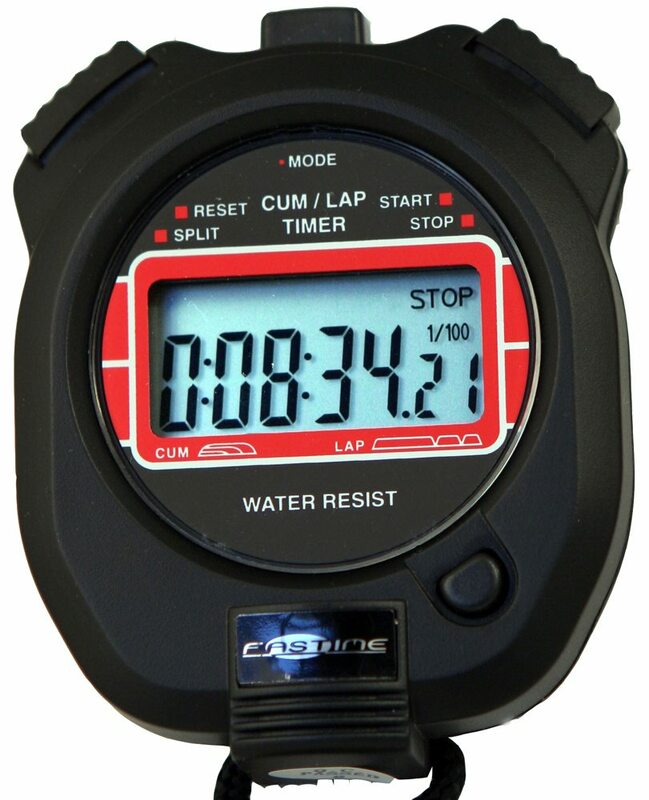 The stopwatch has a rugged water resistant and shock resistant case with a 1 year warranty and silent (no beep) operation.